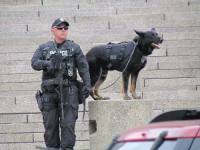 The K9 Storm Patrol Swat Vest is our most widely used canine vest, perfect for all calls of service. The versatile built-in load bearing harness system rated to 2,500 lbs. 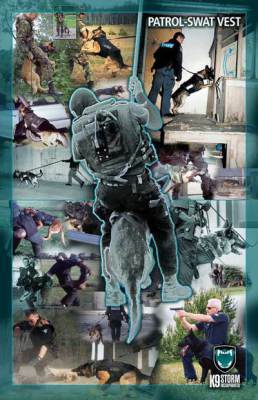 enables the K9 Storm Patrol Swat Vest to be worn on all deployments: track, search, rappel, extract, and apprehend. 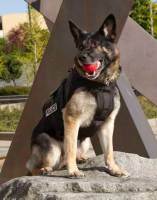 Every K9 Storm Vest is custom-fit to each dogs specifics. Our unique K9 Storm Sizing Kit ensures a perfect fit to allow your dog to maintain their full mobility and agility. The K9 Storm Patrol Swat Vests is built to exceed Threat Level II standards to stop a variety of handgun rounds and bladed weapon attacks. 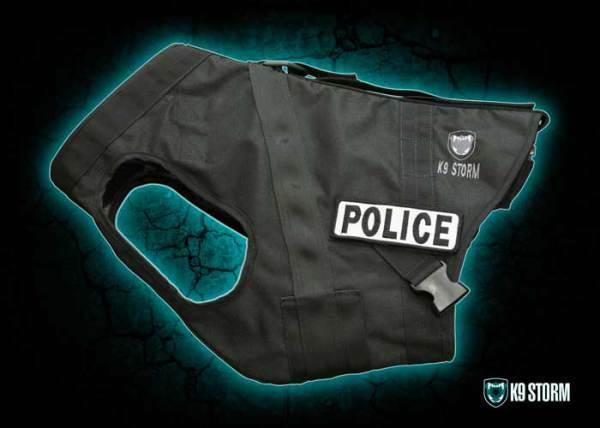 The K9 Storm Patrol Swat Vest is designed to be used for all calls for service. Weighing only 3.5-5 lbs. (on average, depending on the weight and breed of your dog), this K9 Storm Patrol Swat Vest is our newest and lightest k9 bulletproof vest ever manufactured. Follow the link for more info on our Patrol Swat Vest Options.